I meet new people all the time. It’s a way of life in New York. One of the first questions new people ask each other is “What do you do?”. It begins to sound like a cliche after a while, but it can also provide endless fascinating discussions as there are so many people with different professions in New York. Some choose a titled answer “i’m an investment banker”, “I’m an emcee”, “I’m an executive recruiter”. I find for “Web Scalability Consultant” or “Web Operations Expert” this only leaves confused looks. The solution of course is to tell a good story. Stories illustrate what titles and crusty vernacular cannot. I’ve used analogies to surgeons or mechanics, of course they all operate on something people can related to in front of them. People or vehicles we use everyday. Of course with the internet, there is a huge hidden infrastructure that most people don’t see everyday. They may vaguely know it’s there, but it’s still hidden out of site. That’s why I think plumbing provides such an apt visual. As it turns out the internet is built with countless data pipes both large and small, coming into your home or laying across the bottom of the transatlantic ocean. These pipes plug into routers, high speed traffic lights and traffic cops. Ultimately they feed into datacenters, huge rooms filled with racks of computers, holding your websites crown jewels. Therein contains the images and status updates from your facebook profile, your banking transactions from your personal bank account or credit card, your netflix movie stream, or the email you sent via gmail. Even your instant messaging stream, or the data from your favorite iphone app are all stored and retrieved from here. The recent Amazon outage has been high profile enough that a lot of folks who don’t follow the latest trends in web operations, devops, and datacenter automation still heard about this event. Turns out it’s had a silver lining for Amazon cause now everyone is scrutinizing how many sites actually rely on this goliath of a hosting provider. As it turns out the root of the amazon outage was indeed a plumbing problem. Amazon has shown rather high transparency publishing intimate details of the problem and it’s resolution. Read more. A misconfigured network cascaded through the system creating countless failures. If you imagine water repairs being done in a large New York City building, they often ask tenants to turn off their water, so they won’t all come on at the same time when service is restored. SImilarly intricate problems complicated the Amazon effort, slowing down attempts to restore everything after the incident. I wrote at length about the outage if you’re interested, read more. There are so many new books coming out all the time, it’s tough to sift and find the good ones. Anyone with a website as their storefront, whether they are a product company or a services company, can gain from reading this book. From leaderboards to frequent flyer programs, badges and more this book is full of real-world examples where game-based principles are put into action. On the internet where attention is a rarer and rarer commodity, these concepts will surely make a big difference to your business. With traditional managed hosting solutions, we have best practices, we have business continuity plans, we have disaster recovery, we document our processes and all the moving parts in our infrastructure. At least we pay lip service to these goals, though from time to time we admit to getting side tracked with bigger fish to fry, high priorities and the emergency of the day. We add “firedrill” to our todo list, promising we’ll test restoring our backups. But many times we find it is in the event of an emergency that we are forced to find out if we actually have all the pieces backed up and can reassemble them properly. Cloud Computing is different. These goals are no longer be lofty ideals, but must be put into practice. Here’s why. EC2 virtual servers can and will die. Your spinup scripts and infrastructure should consider this possibility not as some far off anomalous event, but a day-to-day concern. With proper scripts and testing of various scenarios, this should become manageable. Use snapshots to backup EBS root volumes, and build spinup scripts with AMIs that have all the components your application requires. Then test, test and test again. The computing industry throws around the 99.999% or five-nines uptime SLA standard around a lot. That amounts to less than six minutes of downtime. Amazon’s 99.95% allows for 263 minutes of downtime. Greater downtime merely gets you a credit on your account. With that in mind, repeatable processes and scripts to bring your infrastructure back up in different availability zones or even different datacenters is a necessity. Along with your infrastructure scripts, offsite backups also become a wise choice. You should further take advantage of availability zones and regions to make your infrastructure more robust. By using private IP addresses and network, you can host a MySQL database slave in a separate zone, for instance. You can also do GDLB or Geographically Distributed Load Balancing to send customers on the west coast to that zone, and those on the east coast to one closer to them. In the event that one region or availability zone goes out, your application is still responding, though perhaps with slightly degraded performance. With traditional hosting, you either physically manage all of the components in your infrastructure, or have someone do it for you. Either way a phone call is required to get things done. With EC2, every piece of your infrastructure can be managed from code, so your infrastructure itself can be managed as software. Whether you’re using waterfall method, or agile as your software development lifecycle, you have the new flexibility to place all of these scripts and configuration files in version control. This raises manageability of your environment tremendously. It also provides a type of ongoing documentation of all of the moving parts. In a word, it forces you to deliver on all of those best practices you’ve been preaching over the years. When servers get restarted they get new IP addresses – both private and public. This may affect configuration files from webservers to mail servers, and database replication too, for example. Your new server may mount an external EBS volume which contains your database. If that’s the case your start scripts should check for that, and not start MySQL until it finds that volume. To further complicate things, you may choose to use software raid over a handful of EBS volumes to get better performance. The more special cases you have, the more you quickly realize how important it is to manage these things in software. The more the process needs to be repeated, the more the scripts will save you time. Ultimately if you take into consideration less reliable virtual servers, and mitigate that with zones and regions, and automated scripts, you can then enjoy all the new benefits of the cloud. vertically scaling servers in place – in minutes! Also sometimes known as circular replication. This is used for high availability. You can perform operations on the inactive node (backups, alter tables or slow operations) then switch roles so inactive becomes active. You would then perform the same operations on the former master. Applications sees “zero downtime” because they are always pointing at the active master database. In addition the inactive master can be used as a read-only slave to run SELECT queries and large reporting queries. This is quite powerful as typical web applications tend to have 80% or more of their work performed with read-only queries such as browsing, viewing, and verifying data and information. This is similar to what in the Oracle world is called “application partitioning”. In fact before Oracle 10 most Parallel server and RAC installations required you to do this. For example a user table might be sharded by putting names A-F on node A, G-L on node B and so forth. You can also achieve this somewhat transparently with user_ids. MySQL has an autoincrement column type to handle serving up unique ids. It also has a cluster-friendly feature called auto_increment_increment. So in an example where you had *TWO* nodes, all EVEN numbered IDs would be generated on node A and all ODD numbered IDs would be generated on node B. They would also be replicating changes to eachother, yet avoid collisions. Obviously all this has to be done with care, as the database is not otherwise preventing you from doing things that would break replication and your data integrity. One further caution with sharding your database is that although it increases write throughput by horizontally scaling the master, it ultimately reduces availability. An outage of any server in the cluster means at least a partial outage of the cluster itself. This is actually a storage engine, and can be used in conjunction with InnoDB and MyISAM tables. Normally you would use it sparingly for a few special tables, providing availability and read/write access to multiple masters. This is decidedly *NOT* like Oracle RAC though many mistake it for that technology. The most common MySQL cluster configuration we see in the Amazon EC2 environment is by far the Master-Master configuration described above. By itself it provides higher availability of the master node, and a single read-only node for which you can horizontally scale your application queries. What’s more you can add additional read-only slaves to this setup allowing you to scale out tremendously. Also find Sean Hull’s ramblings on twitter @hullsean. There are a lot of considerations for deploying MySQL in the Cloud. Some concepts and details won’t be obvious to DBAs used to deploying on traditional servers. Here are eight best practices which will certainly set you off on the right foot. This article is part of a multi-part series Intro to EC2 Cloud Deployments. Master-Slave replication is easy to setup, and provides a hot online copy of your data. One or more slaves can also be used for scaling your database tier horizontally. Master-Master active/passive replication can also be used to bring higher uptime, and allow some operations such as ALTER statements and database upgrades to be done online with no downtime. The secondary master can be used for offloading read queries, and additional slaves can also be added as in the master-slave configuration. Caution: MySQL’s replication can drift silently out of sync with the master. If you’re using statement based replication with MySQL, be sure to perform integrity checking to make your setup run smoothly. Here’s our guide to bulletproofing MySQL replication. You’ll want to create an AWS security group for databases which opens port 3306, but don’t allow access to the internet at large. Only to your AWS defined webserver security group. You may also decide to use a single box and security group which allows port 22 (ssh) from the internet at large. All ssh connections will then come in through that box, and internal security groups (database & webserver groups) should only allow port 22 connections from that security group. When you setup replication, you’ll be creating users and granting privileges. You’ll need to grant to the wildcard ‘%’ hostname designation as your internal and external IPs will change each time a server dies. This is safe since you expose your database server port 3306 only to other AWS security groups, and no internet hosts. You may also decide to use an encrypted filesystem for your database mount point, your database backups, and/or your entire filesystem. Be particularly careful of your most sensitive data. If compliance requirements dictate, choose to store very sensitive data outside of the cloud and secure network connections to incorporate it into application pages. Be particularly careful of your AWS logins. The password recovery mechanism in Amazon Web Services is all that prevents an attacker from controlling your entire infrastructure, after all. There are a few ways to backup a MySQL database. By far the easiest way in EC2 is using the AWS snapshot mechanism for EBS volumes. Keep in mind you’ll want to encrypt these snapshots as S3 may not be as secure as you might like. Although you’ll need to lock your MySQL tables during the snapshot, it will typically only take a few seconds before you can release the database locks. Now snapshots are great, but they can only be used within the AWS environment, so it also behooves you to be performing additional backups, and moving them offsite either to another cloud provider or to your own internal servers. For this your choices are logical backups or hotbackups. mysqldump can perform logical backups for you. These backups perform SELECT * on every table in your database, so they can take quite some time, and really destroy the warm blocks in your InnoDB buffer cache. What’s more rebuilding a database from a dump can take quite some time. All these factors should be considered before deciding a dump is the best option for you. xtrabackup is a great open source tool available from Percona. It can perform hotbackups of all MySQL tables including MyISAM, InnoDB and XtraDB if you use them. This means the database will be online, not locking tables, with smarter less destructive hits to your buffer cache and database server as a whole. The hotbackup will build a complete copy of your datadir, so bringing up the server from a backup involves setting the datadir in your my.cnf file and starting. We wrote a handy guide to using hotbackups to setup replication. Obviously Disk I/O is of paramount performance for any database server including MySQL. In AWS you do not want to use instance store storage at all. Be sure your AMI is built on EBS, and further, use a separate EBS mount point for the database datadir. An even better configuration than the above, but slightly more complex to configure is a software raid stripe of a number of EBS volumes. Linux’s software raid will create an md0 device file which you will then create a filesystem on top of – use xfs. Keep in mind that this arrangement will require some care during snapshotting, but can still work well. The performance gains are well worth it! When configuring Master & Slave replication, be sure to use the internal or private IPs and internal domain names so as not to incur additional network charges. The same goes for your webservers which will point to your master database, and one or more slaves for read queries. 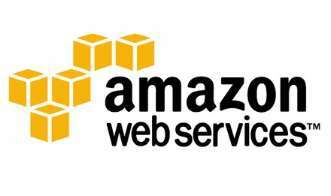 Amazon Web Services provides a tremendous leap in options for high availability. Take advantage of availability zones by putting one or more of your slaves in a separate zone where possible. Interestingly if you ensure the use of internal or private IP addresses and names, you will not incur additional network charges to servers in other availability zones. EC2 servers are out of the gates *NOT* as reliable as traditional servers. This should send shivers down your spine if you’re trying to treat AWS like a traditional hosted environment. You shouldn’t. It should force you to get serious about disaster recovery. Build bulletproof scripts to spinup your servers from custom built AMIs and test them. Finally you’re taking disaster recovery as seriously as you always wanted to. Take advantage of Availability Zones as well, and various different scenarios. Interestingly vertical scaling can be done quite easily in EC2. If you start with a 64bit AMI, you can stop such a server, without losing the root EBS mount. From there you can then start a new larger instance in EC2 and use that existing EBS root volume and voila you’ve VERTICALLY scaled your server in place. This is quite a powerful feature at the system administrators disposal. Devops has never been smarter! You can do the same to scale *DOWN* if you are no longer using all the power you thought you’d need. Combine this phenomenal AWS feature with MySQL master-master active/passive configuration, and you can scale vertically with ZERO downtime. Powerful indeed. We wrote an EC2 Autoscaling Guide for MySQL that you should review. Along with vertical scaling, you’ll also want the ability to scale out, that is add more servers to the mix as required, and scale back when your needs reduce. Build in smarts in your application so you can point SELECT queries to read-only slaves. Many web applications exhibit the bulk of there work in SELECTs so being able to scale those horizontally is very powerful and compelling. By baking this logic into the application you also allow the application to check for slave lag. If your slave is lagging slightly behind the master you can see stale data, or missing data. In those cases your application can choose to go to the master to get the freshest data. Wondering whether RDS is right for you? It may be. We wrote a comprehensive guide to evaluating RDS over MySQL. If you read this far, you should grab our newsletter! Scalability in the cloud depends a lot on application design. Keep these important points in mind when you are designing your web application and you will scale much more naturally and easily in the cloud. The cloud is not a silver bullet that can automatically scale any web application. Software design is still a crucial factor. Baking in these features with the right flexibility and foresight, and you’ll manage your websites growth patterns with ease. I would have liked to see examples in Chef rather than PHP, but hey you can’t have everything! Believe it or not you can actually start playing around with virtual servers that are as real and powerful as the physical servers you’re already used to deploying. And you can do it for literally pennies per month. Signup for an Amazon account or use the one you buy books with. Download Elastic Fox or the API tools & configure your credentials for easy browser or command line control of your virtual infrastructure and deployments. Terminate instances & delete volumes & snapshots so you’ll have no recurring charges. At a mere 8 and 1/2 cents per hour, you can play around with the technology with no real ongoing costs. And you can do it with your existing Amazon account and credit card info.